“To criticise, attack and destroy a system is quite easy (but) very difficult and challenging to transform it into a performing one. For this one has to transcend one’s personal ambitions or grievances”, the Chief Justice said. 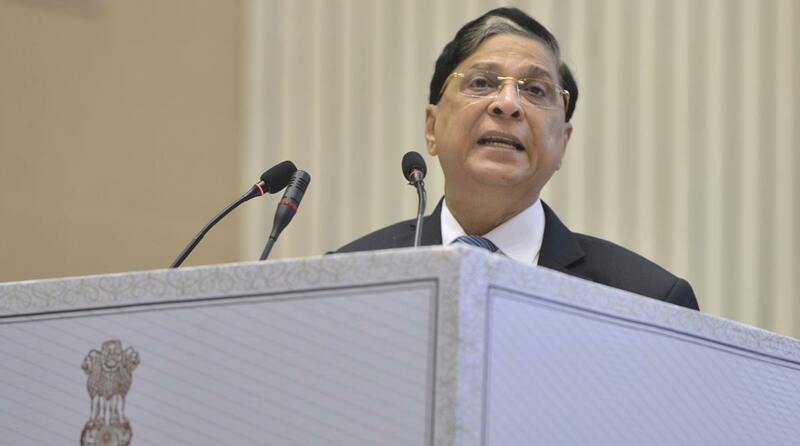 Chief Justice of India Dipak Misra on Wednesday said it was easy to criticise, attack and destroy a system but instead an endeavour should be made to transform and reform it by transcending personal ambitions or grievances. “There may be some elements who try to weaken the institution,” but “I and you (lawyer community) together will refuse to succumb,” Misra said in an apparent reference to discordant voices coming from within the top judiciary and outside. Mishra said this while speaking at the Independence Day function organised in the Supreme Court by the Supreme Court Bar Association. Misra also disagreed with Prasad that people, wherever they go in India, should visit the family members of the freedom fighters in recognition of their contribution to the freedom struggle and praise them. “I do not deny that each citizen during that period, in his own or her own way fought for the freedom of country. The Law Minister says that when we go to some place in India we must visit them (the families) and praise them (freedom fighters). I disagree. People who fought for the country did not fight for their praise. They did not even bother about you. They fought because they fought for the country”, Chief Justice Misra told the gathering comprising of sitting and former judges of the apex court, senior lawyers including Fali Nariman and Soli Sorabjee and others. To fight for one’s own country, own civilisation and all the rights, the Chief Justice said is possibly a tribute to them. Prasad called for striking a healthy balance between the three organs of the state saying that the governance of the country must be left to the elected representatives as governance and accountability go together. The Law Minister while recalling the trauma of partition, said that despite large-scale destruction and dislocations, India chose not to be theocratic with the State having no religion or faith. This he described as a “general larger blueprint of India”. Referring to the different phases of development over the last seven decades, the Law Minister said initially it was a “polity of want, then came polity of identity and now we have polity of aspiration and hope”. Speaking on the occasion, Attorney General K.K. Venugopal pointed to the overcrowding of the court rooms and corridors. He called for joint efforts by the top court, the Law Ministry and the Supreme Court Bar Association to address the problem. He said what was important was how people can serve their country.